The world didn’t end this past Saturday so the Cubs 2011 season continues. After closing a historic weekend in Bean-town the Cubs are back in Chicago, a little worse for the wear after dropping 2 of 3 and sustaining numerous injuries. Here’s hoping that Marlon Byrd has a full recovery and comes back strong after taking a fastball to the face. This season has been up and down for the Cubs and now the injuries are piling up, which doesn’t help the cause. Randy Wells still on the mend, Cashner a set-back last week, Garza scratched before his last outing, Soto and now Byrd hitting the DL, Jeff Baker out with a strained groin, the Cubs may be running out of healthy players. Like any helpful Cubs fan would, I’d like to suggest a roster solution. Adding a player who can pitch as well as play a position, you’d have a nice luxury with only one roster spot for dual positions. And so, I offer up my services to the Cubs. 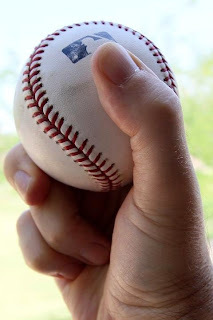 I’ve been polishing my wide array of junk ball pitches, which includes my new revolutionary slumball (a slider, predominantly using my thumb), and a split-spit-knuckle (split finger, knuckle hybrid with saliva). The latter pitch was taught to me by the grandson of a North Dakota farmer who’s grandfather learned it from the great Satchel Paige when Paige played for Bismark in the spring of 1935. Learning the split-spit-knuckle included a special technique to apply saliva without detection. Now before you say my plan is impossible, remember that the Cubs just lost to Boston’s 44 year old knuckleballer Tim Wakefield on Sunday. And he only throws the knuckleball. Besides pitching, I can play the outfield when I’m not on the mound. Since my 2 for 2 hitting performance in the Fergie and Friends baseball game two springs ago, I’ve been running, lifting, and spending time at the batting cage…just waiting for the call. The fact that I haven’t played in a year and a half is a good thing, keeping me fresh and ready. As a bonus, I can be mic’d and do the public address announcing while playing in the actual game. After I let loose of a slumball, at the perfect moment, I yell – “SWING!……on over to Harry Caray’s Tavern for an ice cold Budweiser”. This is a win-win-win as my new triple role saves the Cubs money. Money they can put into other areas, such as a new player development camp in Tahiti. At no extra cost, I’d be happy to transition into a part-time coaching role after the season at the newly established camp. So there you have it, just another Cubs fan trying to figure a way to help out the ol’ ballclub.